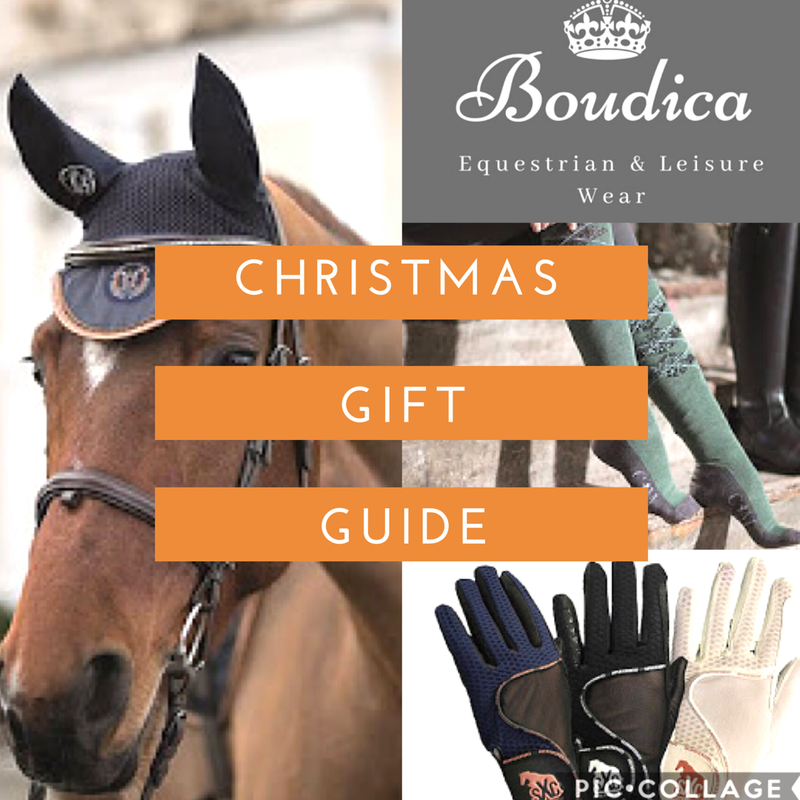 Most equestrians will mention being cold & wet throughout the winter, so here's three top christmas gifts that you can get any equestrian to top up their stocking this year! 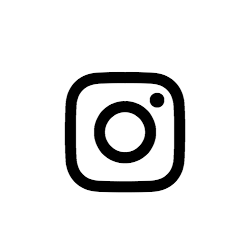 First up is socks...yes everyone makes the joke that you can't go wrong with a pair of socks. For horse riders and equestrians of all kinds, you literally can't!! 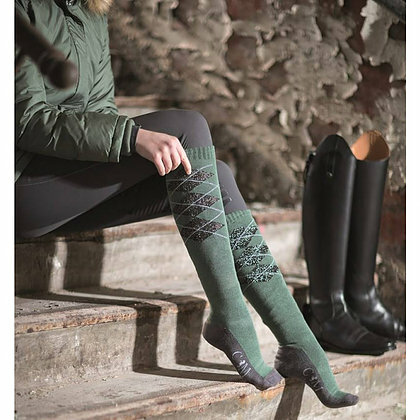 These Piemont riding socks are made from warm terry cloth material, easy to wash and add a touch of Christmas sparkle in their detailing. Available in kharki or deep grey, these hard wearing yet super comfortable socks are perfect as a secret Santa gift at an affordable £6.95! 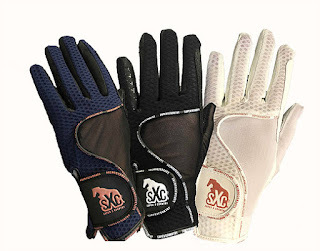 So with the feet of equestrians all over now taken care of, what about a pair of gloves to keep their hands toasty too!? 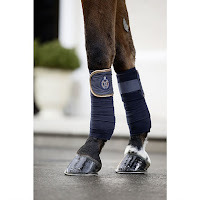 Equetech have the perfect pair! 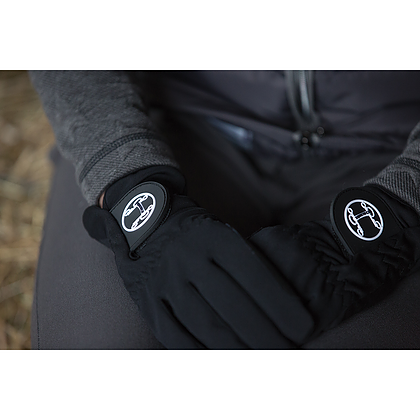 The Aurora riding gloves are fleeced lined with a wind & rain resistant outer membrane, while still enabling great grip through silicon detailing. At just £29.50, whoever is the lucky recipient of these winter warmers will thank you all season long! 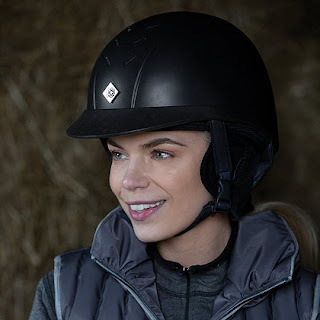 When it rains, it always pours, so this waterproof transparent long jacket by HKM is a perfect addition to any equestrian's all-year-round wardrobe. Waterproof, windproof & with taped seams, this jacket will keep you dry during winter or summer rain for just £16.95. Machine washable at 30 degrees, this jacket will keep you dry season after season. Gloves are ALWAYS a useful item to have for any competitive rider, & if they are like me, they'll go through a fair few pairs of them over the years! SuperXCountry Sportsline riding gloves are a fantastic everyday essential, whether training or competing, or just taking a relaxing hack out around the countryside. Featuring strong velcro fastenings, breathable mesh panels & silicon grips, these gloves are stylish, lightweight & long lasting...all for just £25! 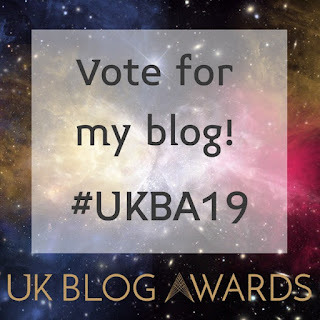 Most non-competitive riders look at the competitive equestrians and think they are bonkers while busy out schooling or hacking to keep up their horse's fitness throughout the winter. 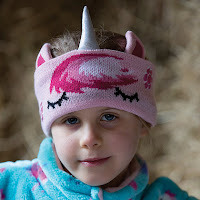 So how about a pair of Equetech ear warmers? 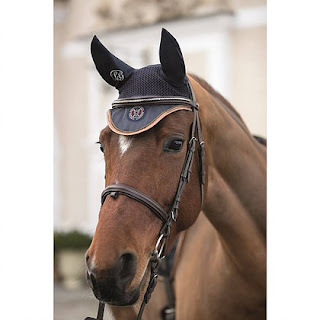 We've all seen those equestrian who are perfectly co-ordinated, from their hat silks to their horse's bandages, with a matching saddle pad and co-ordinated ear veil. Well now you can start their latest collection for them with the stunning Moena range from HKM. 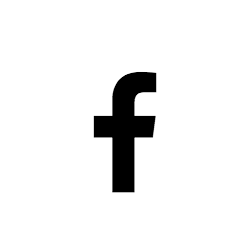 But what's on the gift guide? Bandages. 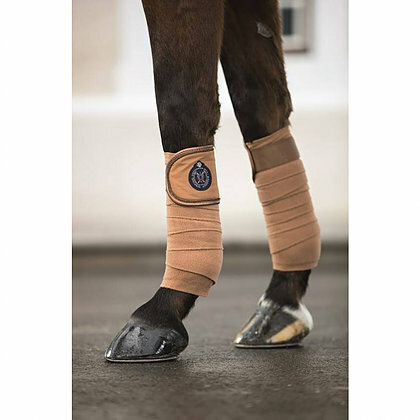 Whether used for exercise, travel or just in the stable, the Laura Garrelli bandages allow you to step out in style at just £22.95. Whether deep navy or caramel is the colour for you & your four-legged friend, this breathable leg protection comes in a set of four with the gorgeous logo on display on the velrco fastening. Perfectly matched with a Lauria Garrelli headcollar & leadrope, and matching ear veils for when you tack up. Strut your stuff around the yard, or step out in style while training, these Christmas stocking filler gift ideas are perfect for any matchy-matchy lover! It's all about Unicorns...they are everywhere! So add some magic to a little equestrian's stocking this Christmas. How about this unicorn headband for add a touch of magic for any child enjoying yardlife in the cooler months of the year? At just £8.50, it will make any horse-loving child happy this Christmas! Staying on the theme of unicorns, what better way to check out there's no hay in your hair after a pony day on the yard than with this unicorn mirror & brush. 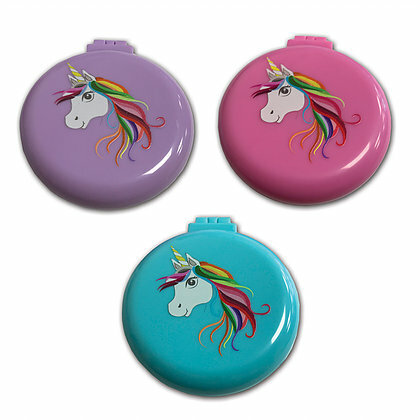 Available in pink, purple & blue it will match in nicely with your unicorn headband and other yard clothes! Plus it is just £5.95 so makes a perfect stocking filler for younger friends & family. 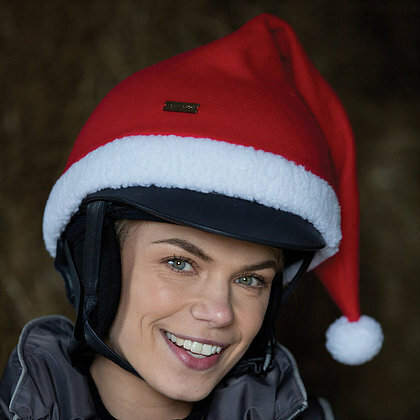 ...and finally & perhaps not ONLY for children, but whose Christmas wouldn't be complete without a Santa's hat designed snuggly to fit over the top of your riding hat! A bit of Christmas fun while out & about during the festive season, all for under £10!! 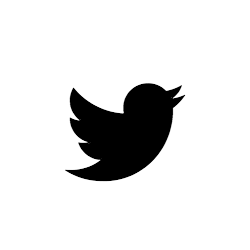 So whatever the equestrian, there is a gift for everyone! 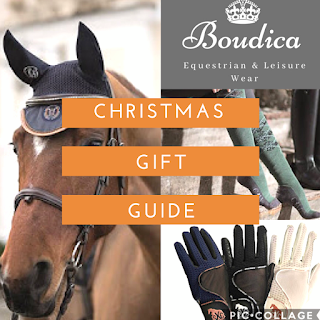 Make sure you check out all of Boudica Equestrian's Christmas Stocking Fillers for Christmas gift ideas... 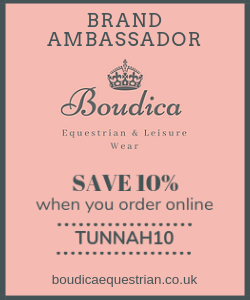 There's FREE delivery on all UK orders, plus you can save an extra 10% using code 'TUNNAH10' when you checkout! 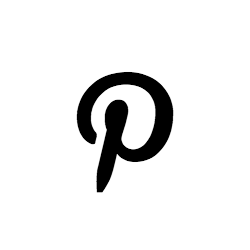 Don't forget to share your snaps too, you might even see them featured on our page!